Architect Romolo V. Nati is scheduled to share his ideas at The Inaugural Philippine Smart and Green City Summit, the launch of the upcoming Clark Green City. 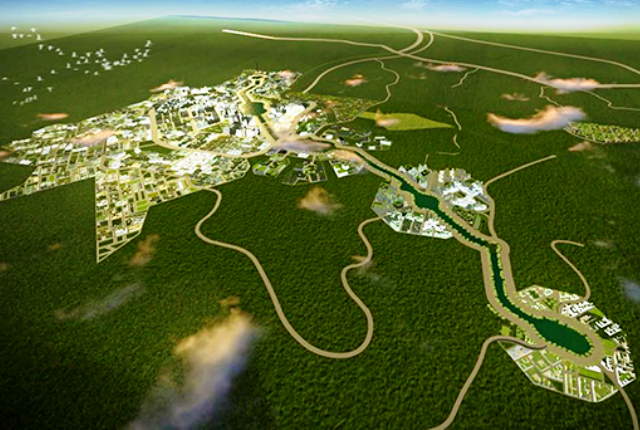 The country’s first smart and green city, Clark Green City was carved from 36,000 hectares of the Clark Freeport and Special Economic Zone in Central Luzon. The summit, which will be held at the Sofitel Philippine Plaza on December 5, will bring together property developers and urban planners, engineers, economic and management consultants, bankers, financiers and investors. At the summit, Nati will be sharing some green building tips from his long practice as an expert on sustainable architecture and green building. Clark Green City is the upcoming metropolis and investment hub that is a brainchild of the Bases Conversion and Development Authority. The city’s master development plan was recently approved by the National Economic and Development Authority (NEDA) and endorsed for final approval of President Simeon B. Aquino III. Once the president approves the master plan, the BCDA will begin phase 1 of the project’s development, which is expected to cost PhP59 billion through the Public-Private Partnership scheme. Apart from the ITPI CEO, the other experts who will make presentations come from the Bases Conversion and Development Authority, KGL Investment Company Asia, the Infrastructure Sustainability Council of Australia, Palafox Associates, Cushman and Wakefield, the Investment Climate International Finance Corporation, Philippine Green Building Council, CBRE, among other companies.